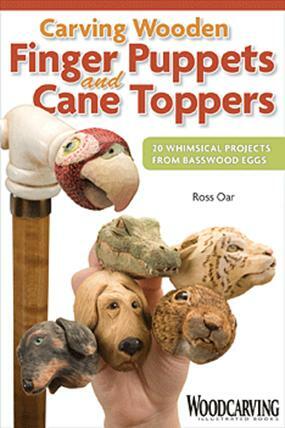 If you're looking for easy fun and inexpensive carving projects you won't be disappointed with this whimsical new book from professional carving instructor Ross Oar. You'll learn all the tips and tricks for carving charming finger puppets or cane toppers as you complete three step-by-step projects: Fred the Frog Tom the Cat and a Relief Carved Covered Bridge. After learning all of Oar's carving techniques you'll be ready to move on more amusing characters like Billy Parrot Squeaker Squirrel and Chipper Chimp.